SCOPE Projects is a professional design-build landscape architectural firm specializing in the planning and construction of rural residential, multi-family, golf course, and municipal engineering projects. 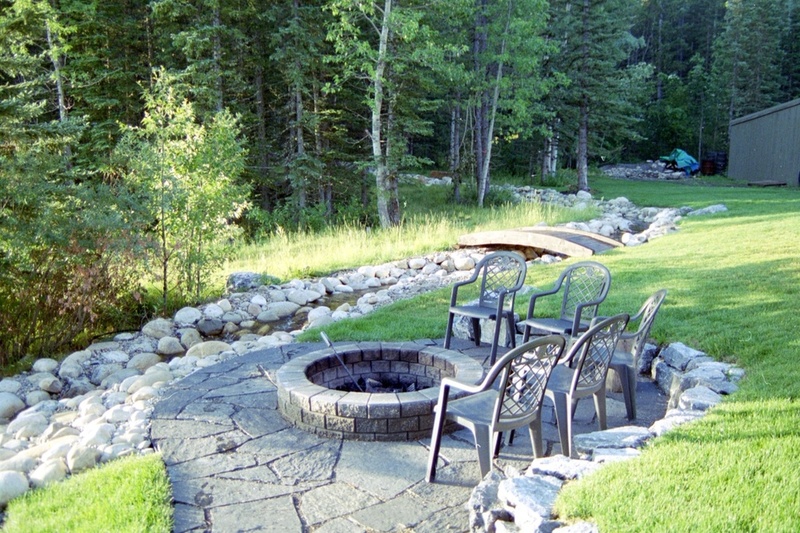 We also have a unique specialty in the design and construction field of all types and sizes of water features, specializing in utilizing current non-chemical wetland treatment techniques. Scope was asked to review the infrastructural aspects of a 160 acre property with the prospective owner. 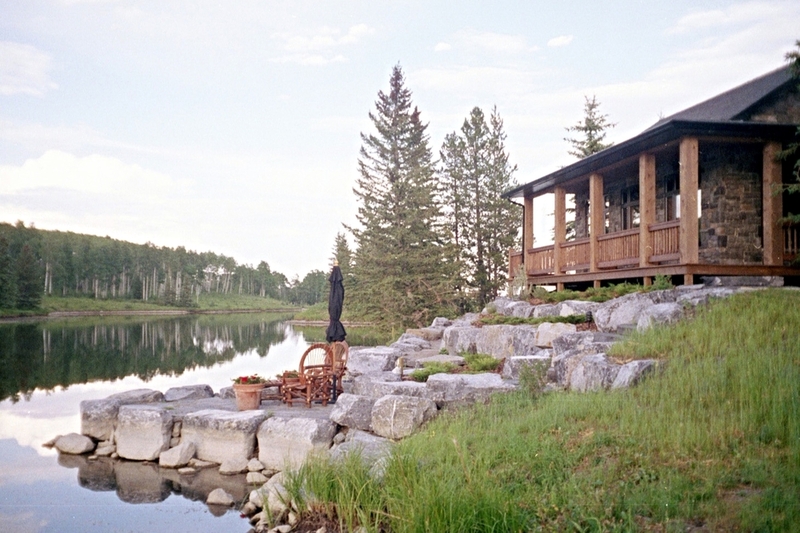 It involved evaluating a dam and wooden control structure on a 14 acre constructed lake, a wooden bridge connection to a peninsula containing an original cabin and the related area as the location for a new home. Once the purchase was completed, Scope was retained to provide a master plan which was implemented during and after construction of the estate home. Later it was determined that the bridge was failing and Scope was retained to project manage Alberta Environment permitting, engineered services for a new bridge and construct the structure in the middle of the winter. More recently Scope was retained to project manage and construct a replacement structure for the floodway and control structure as part of the large dam controlling water in the 14 acre lake. This challenging winter/spring project was complicated by a record 100 year flood before the project was completed. 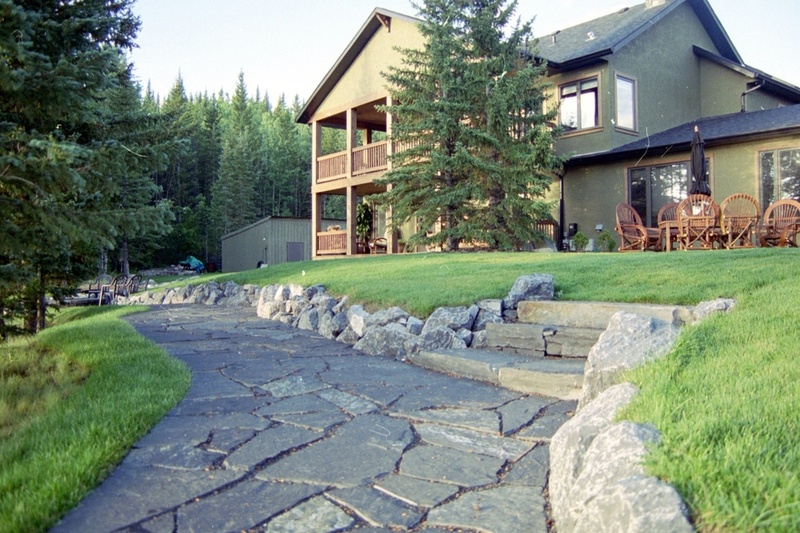 Scope Projects have worked with the homeowner for over 10 years, helping in the siting of the home as well as the initial shaping and design of their lake’s shoreline and control structure. The relationship has continued on with Scope Projects doing all the landscape design for the property as well as the installation in the summer of 2008 and a small continuation project in 2015. Along with an intricate retaining wall system, and extensive landscaping, the project highlight included the design and installing a 80m recirculating creek. 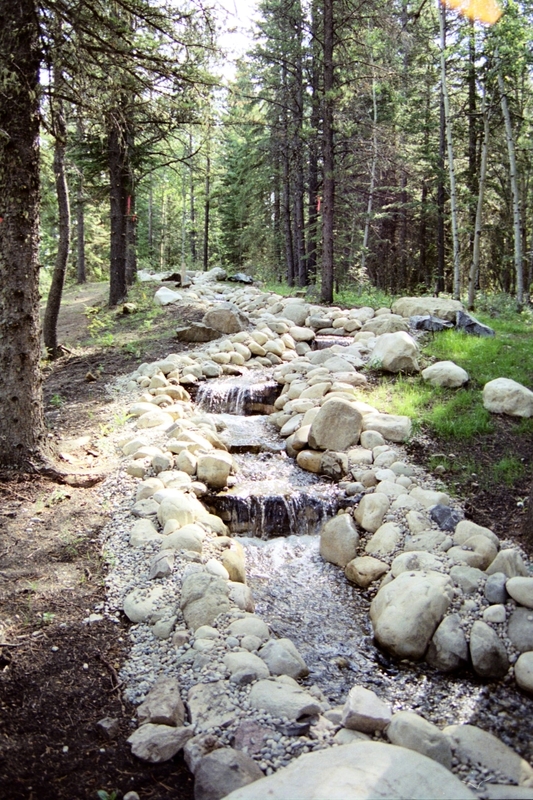 The creek is run by a state-of-the-art variable speed pump system, is set about 50m from the source of the creek, and is treated by a patented bog/wetland filtration system. 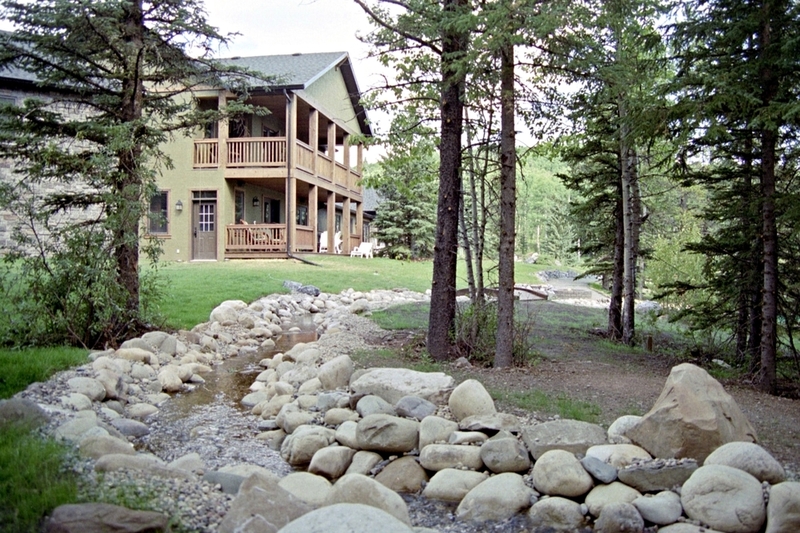 It then flows down and over retaining walls and under their deck structures, eventually entering their 12 acre constructed lake in the prime view from their house. We specialize in lot master planning and full residential site development. From lawn redevelopment to gardens and water features, We will guide you through a step-by-step process from concept to construction. From condominium projects to complete shopping centre developments, we will take your vision and turn it into a reality. With specialized equipment and skilled labour, we will ensure the proper steps are taken to meet budgets without ever sacrificing quality. We have vast experience in all components of golf course construction. 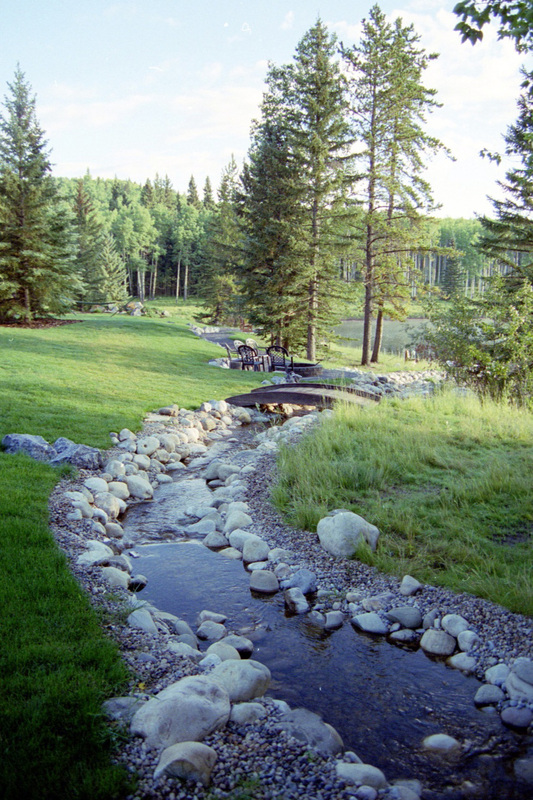 From small tee restorations, to complete hole reconstruction, we have the knowledge to tackle any course with a special emphasis on water feature drainage and environmental-related projects. Not sure what you want? Let us design and plan out something tailored specifically for you. from simple drawings to full digital renderings, let us show you the possibilities of what we can create together. Start your SCOPE Project today.